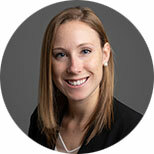 Anna Bourland is a Program Specialist with the IHME Client Services Unit. In this role, Anna works with private sector organizations to help set up data use agreements that meet their operational needs. She is responsible for tracking the unit’s contracting processes, finances, and overall progress toward goals. Anna joined IHME in 2016 as a communications specialist supporting the Global Engagement Team with event planning, digital media content production, and media relations. Her role later expanded to include coordination of the annual Roux Prize, awarded to someone who has used health data to improve health in a community. Anna previously worked in the golf industry, after competing nationally as a member of her university golf team. Anna earned her BA in Communication and Event Planning from Western Washington University.